Time to sit in the garden and to reflect on my writing. It is seven years since I published my first book. I have completed five books to date and the sixth is on its way. About two thirds to go! A while back, I realised that I have not ever read my books as a reader. There was all the editing, of course, but I was too close to the writing process at that time. So, 'begin at the beginning' I said to myself, and took out 'Violet Jelly', the first book in the trilogy by the same name. These three are children's books about a series of adventures in Cyberspace. I enjoyed creating zany characters and odd, sometimes menacing, situations. I expected to cringe as I read and wish that I had written it slightly differently, but I really enjoyed the experience and found myself, unexpectedly, to be happy engaging with the characters and the story as if I had chosen the book from a shelf in a bookstore. This is different from saying that it is the most wonderful book ever written. I was reading for reader satisfaction. 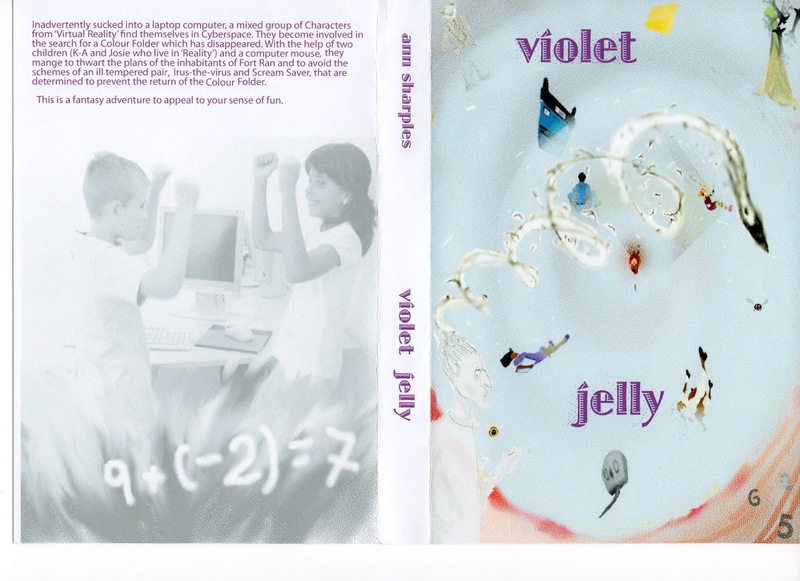 At the end, I felt ready to begin the second book, Violet and Lavender'. Still in Cyberspace, with slightly zany characters and somewhat bizarre situations, this book has a more environmental bent. This too, left me with reader satisfaction. I needed to complete the trilogy. 'Discovering Jasmine T' takes the reader to Florida and is set partly there and partly in Cyberspace. The story draws the reader to the discovery of where the characters originated and I was happy that this happened at the end of the trilogy - a 'to be revealed' factor - rather than explaining their origins at the beginning of the trilogy. Children enjoy mystery and my thought was that they would enjoy the characters and the adventures but maintain curiosity as to how they arrived in Cyberspace.